You can call off the search parties, D.I.D (Dog Is Dead) have returned following their short-lived disappearance. Falling quiet since their comeback single 'Hotel' last November, the band returned last night with their latest track Fast Food, premiered on Huw Stephens' BBC Radio 1 show. Whilst I wasn't totally won over by Hotel upon first listen, this latest is a whole different story. Instantaneously lovable with the same luxury and vigour that won me over on their debut LP 'All Our Favourite Stories' in 2012, its urgency and anthemic qualities bring a whole new light to their exuberant sound. "Fade me out, i'll fade you out. How very English of us"; a line I'm sure most of us can relate to where sharply defined honesty is a thing of the past when dating and relationships are concerned. Fast Food becomes a song for the now. "Fast Food is about the petering out of a relationship" explains lead singer Robert Milton. "I wanted to focus on the apathetic side of things and how we cling to anything fast and easy to make us happy quickly. It’s also a comment on how easily we settle for and take what's on offer to satisfy ourselves in the short term. Take a listen for yourselves below. 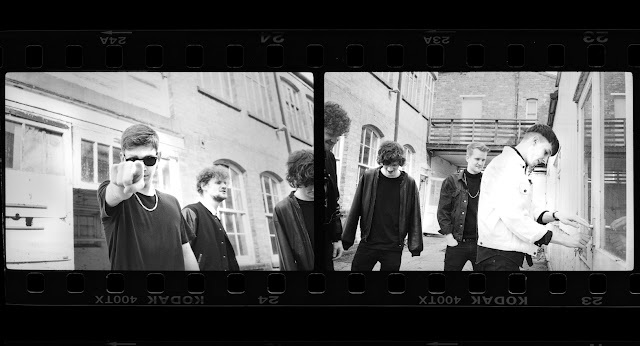 The new single forms part of their brand new EP which will be available through iTunes and 10” vinyl on September 18th via Your Childhood Records.